Democracy is moribund elsewhere. The United States, which is supposed to be the greatest democracy on earth, offers the unsavory option of two parties, Republican or Democrat, on its electoral menu. This difference, however, has become largely fictional, as the political class all belong to a cozy inbred Republicrat party of hand-picked plutocrats that serve corporate imperialism. This democratic illusion was duly represented in 2016 with two fake options, either Clinton or Trump, both disastrous. Which one was less repulsive to American voters? As we know, it was Trump who “won” the US empire’s election. 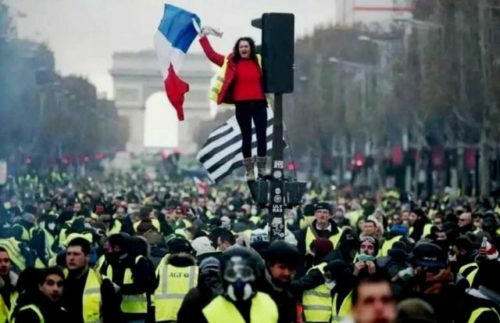 In France, by the same powerof the negative vote, Macron was elected more as a rejection of Marine Le Pen than an adhesion to his neoliberalism, youth, or vague impulse to modernize France, whatever it meant at the time. So the second round of the French presidential election of 2017 was also a futile exercise of lesser-of-two-evils. Democracy was dead in France, and one could take RIP to mean Rest In Peace instead of Referendum d’Initiative Populaire. 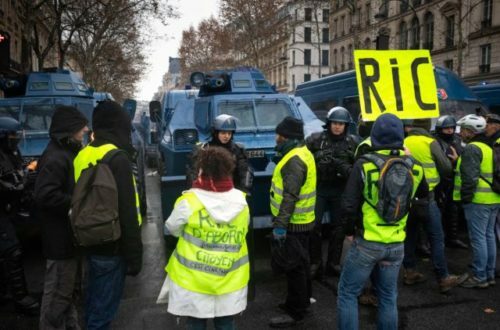 Can the Gilets Jaunes’ key proposal of a Referendum d’Initiative Citoyenne save a comatose political system? 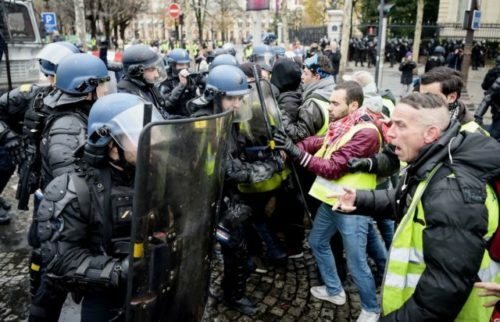 This article was posted on Friday, December 21st, 2018 at 8:34am and is filed under Activism, Anarchism, Democracy, France, President Emmanuel Macron, Referendum, Social Movements.